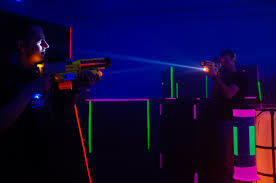 Come out for an afternoon of fun and adventure as the OLL Youth Ministry goes to Skate Nation Plus (Downtown Short Pump, 4350 Pouncey Tract Rd, Glen Allen, VA 23060) for an afternoon of lasertag! Cost is $10; we will have some time between and after our lasertag games, so please bring extra money if you will want to play in the arcade or buy a snack. This event open to students from rising 6th graders to recent high school seniors. There are 28 spots available - first come, first serve! We will plan on meeting at SkateNation Plus at 1:30pm; if you need a ride or want to be part of arranging a carpool, please let me know as soon as possible. Also, we do need a few adult chaperones, so if you are a Virtus Trained parent who wants to come along, please sign up for one of the adult chaperone spots!